One of the top magazines reporting on the new economy, The Industry Standard, stated in its November 20th issue that barter companies are finding it difficult to build a business around barter, and "underscores the limitations that relegate this type of transaction to a bit role in the economy." As often happens, a quote from a well-known person is used to make a point. In this article, Robert Laurent, an economics professor at the Illinois Institute of Technology and a former economist at the Federal Reserve Bank of Chicago, offered his insights. "Bartering can be problematic because it requires you to find someone willing to trade a good or service when and where you want it. Such matchmaking can be difficult and time consuming. Without money, you'll have a hell of a time running a complex society." Unfortunately, those experts in other areas aren't as well versed on the subject of trade exchanges, which the article is all about. They don't understand the dynamics of a trade exchange. Laurent's comments pertain to bi-lateral trading (direct, one-to-one trading) not multi-lateral trading which occurs within a trade exchange where the trade dollar received by a trader/seller can be used anywhere within the trade exchange to make a needed trade/purchase. In fact, the writer then alludes to how, for online barter exchanges to succeed, they must pair up traders. Trade exchanges, online or off-line, don't pair up traders per se. Rather they have built a marketplace, a conduit if you will, where additional business can be done outside the cash marketplace. And they provide a valuable alternative currency for the cash-strapped, small and mid-size businesses around the country. Finally, no one in the commercial barter industry is suggesting that we eliminate money...what is needed in today's world, especially for the small business sector is additional liquidity. Trade dollars offer such liquidity and are a form of secondary capital, as are gift certificates (a company's scrip), frequent-flyer miles, unused production capacities, due bills, etc. The story further suggests that barter companies need cash businesses to grow, citing Bigvine's merging with internet company AllBusiness.com (reported in our October 24th report) and Ubarter's sale to Network Commerce, thereby wrapping their barter services into other e-commerce offerings. Unfortunately, the story never addressed what elements are really needed for the commercial barter industry's growth. Have You Contacted Your Trade Exchange Yet For A Tax Professional? Small businesses are more likely than other taxpayers to run afoul of the nation's tax code. But a government report says it has more to do with the complexity of the tax laws, and lack of assistance from the IRS, than it does with entrepreneurs intentionally trying to cheat the tax man. That's why more and more of the nation's 40 million small business taxpayers are using a paid tax professional to help them do their taxes. 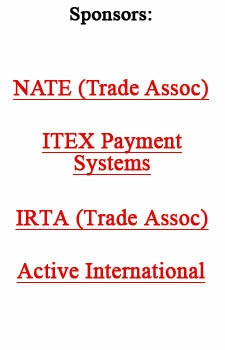 As a member of a trade exchange you can obtain these services using barter! David Powers of VIP Barter has created a new forum for the listing of products and services. For posting information go to www.vipbarter.com. Florsheim's third quarter earnings report included the notation of a non-recurring write-down charge of $2.5 million for "certain barter credits which will not be utilized prior to their expiration." An IRS investigation, one of the largest ever to target offshore accounts in IRS history, is underway in three off-shore banking havens...the Bahamas, the Cayman Islands, and Antigua/Barbuda. Offshore accounts are legal for U.S. taxpayers, but taxpayers must file forms with the IRS about them and pay taxes on income earned in the United States. The Street.com used a cash blend of barter and cash to recoup their British operations (TheStreet.co.uk) from outside investors, and then shut down the operation. The $6 million cash blend was 50% cash, 50% bartered stock. Already owning 63% in the British site, they had agreed that if TheStreet.com were sold they'd pay the outside investors between $34 million and $42 million. Lessening the liability, via the buyout move, thus gives them additional leverage if a future sale is considered. Follow-up on our lead article last week, regarding media buying and the notation that a division of advertising agency J. Walter Thompson is Ford Motor Media, which buys all of Ford's ads comes this announcement: John Wren, president and chief executive of Omnicom Group has also agreed to break the paradigm in the relationship between ad agencies and their clients. A small-cap brick and click company, Synergy Brands, is expanding its two business-to-consumer properties--BeautyBuys.com and Netcigar.com. Synergy's success is based on avoiding the "cash burn cycle" of most dot.coms. Their strategy was to partner with technology providers and media partners through equity barter transactions. Two well known media companies, the Sinclair Broadcast Group and the Premier Radio Network, have worked with Synergy. Sinclair is a diversified broadcasting company that owns or programs 62 television stations in 40 markets. Its television group reaches approximately 25% of U.S. television households, including ABC, CBS, FOX, NBC, WB, and UPN affiliates. FetchOmatic Global Internet (www.fetchomatic.com) announced a strategic alliance with edaddywarbucks, a large barter organization. FetchOmatic, an e-commerce portal, is projecting revenues of between $100,000 and $500,000 a month over the next fourteen months as a direct result of the alliance. Yahoo has secured a footing in the greater China region, considered one of the fastest-growing internet markets in the world, by bartering 146 million shares of its stock.